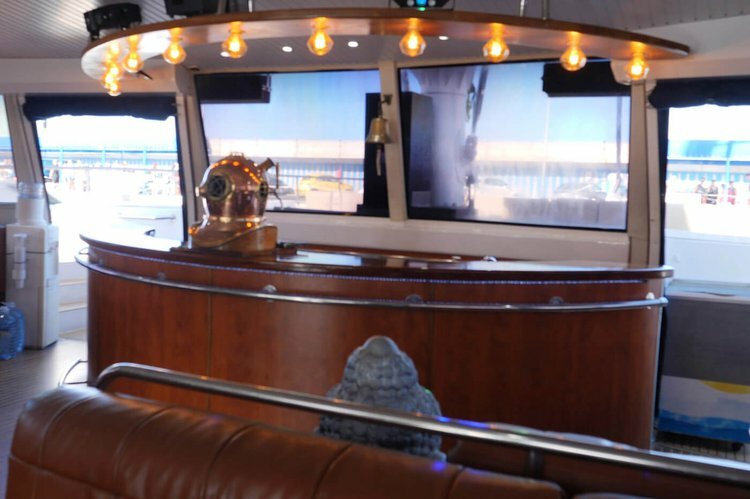 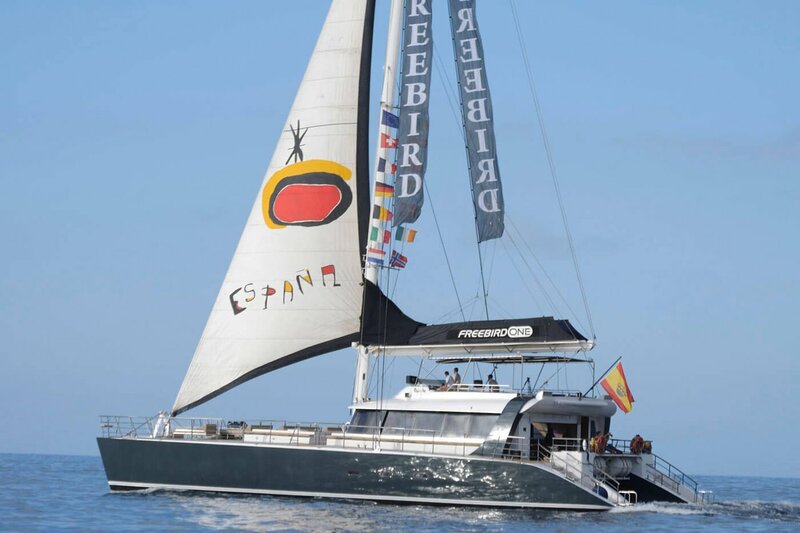 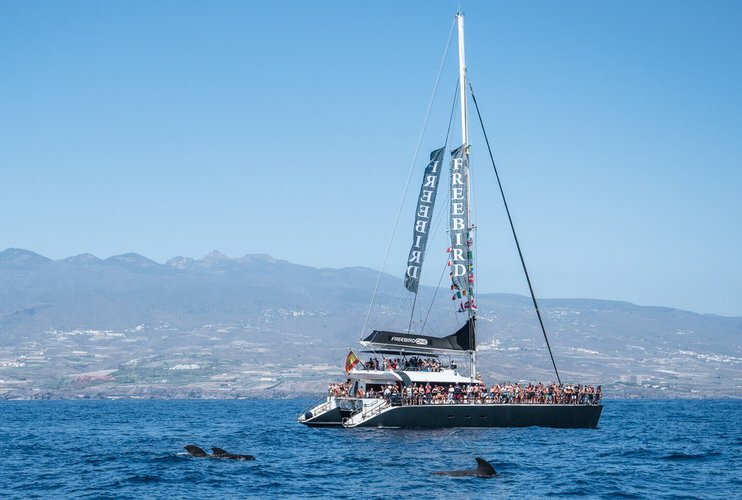 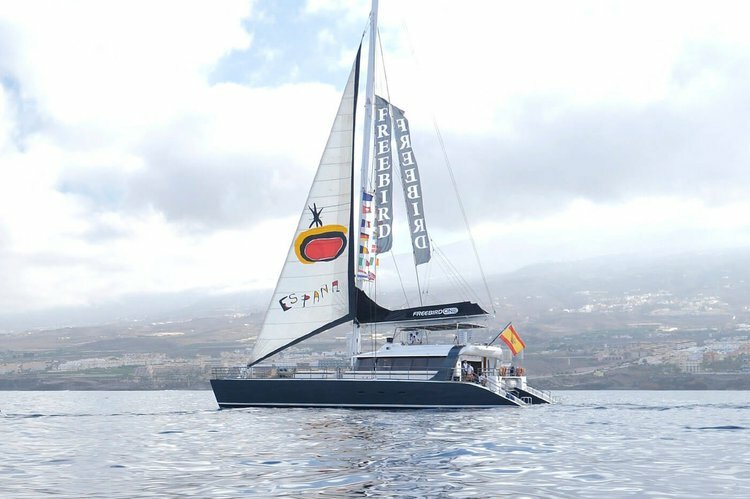 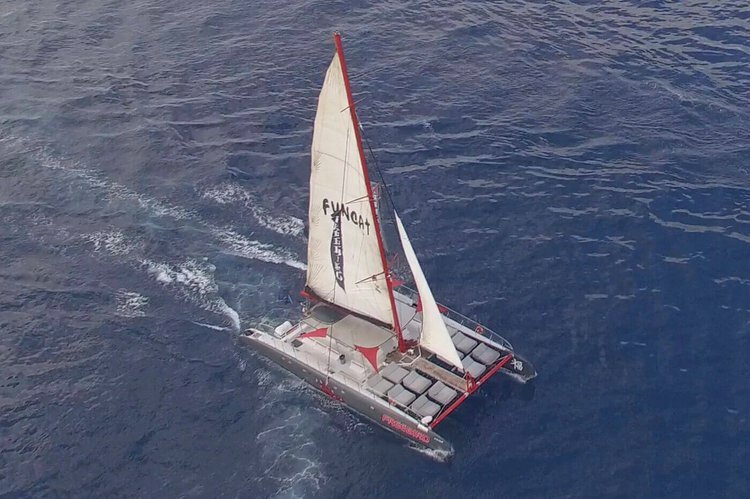 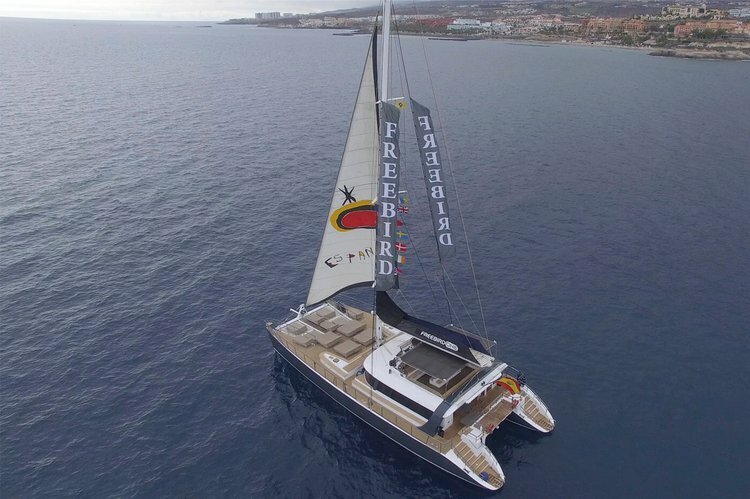 Freebird One is a unique catamaran in the world, as it has been built in France, and designed for greater comfort for our passengers, and provide them a unique experience in whale and dolphin watching in Tenerife. 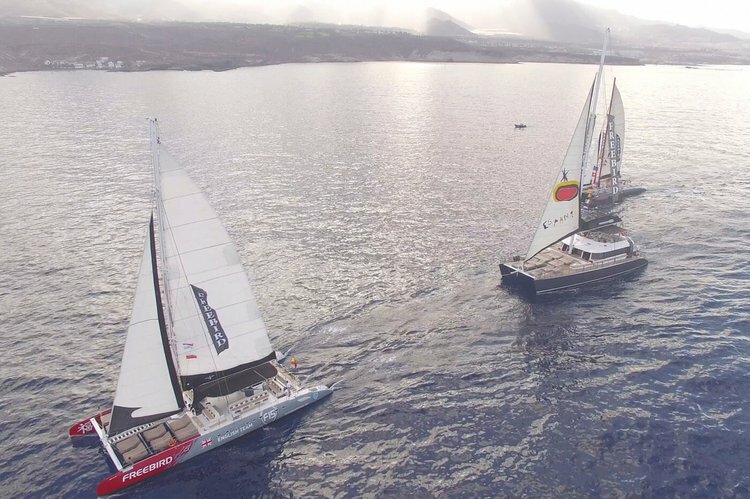 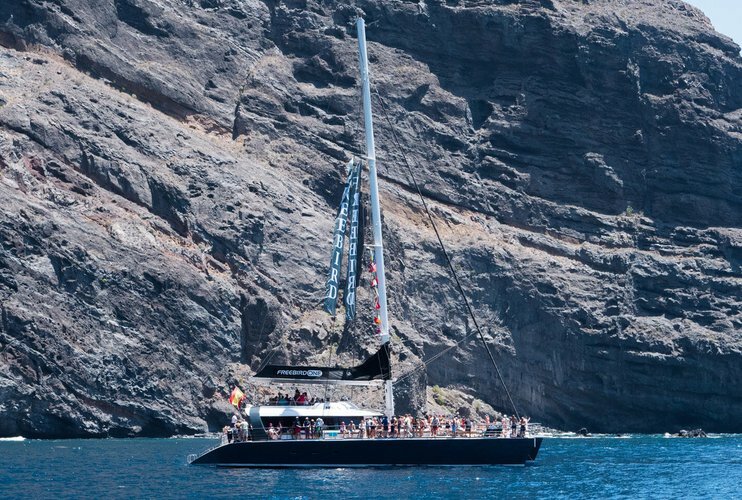 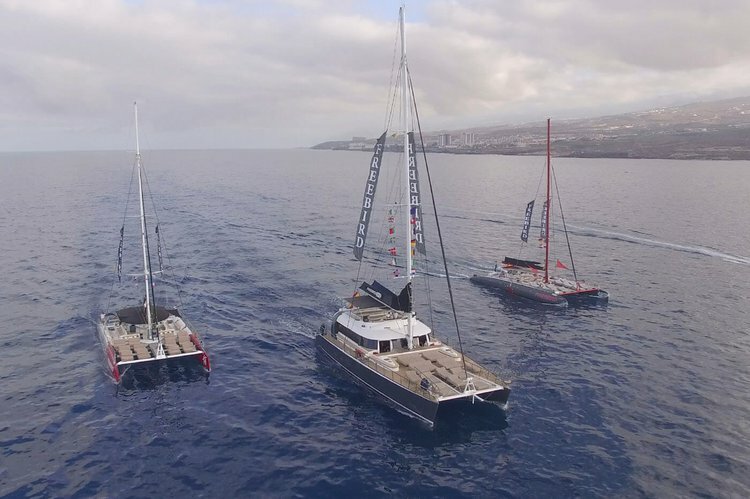 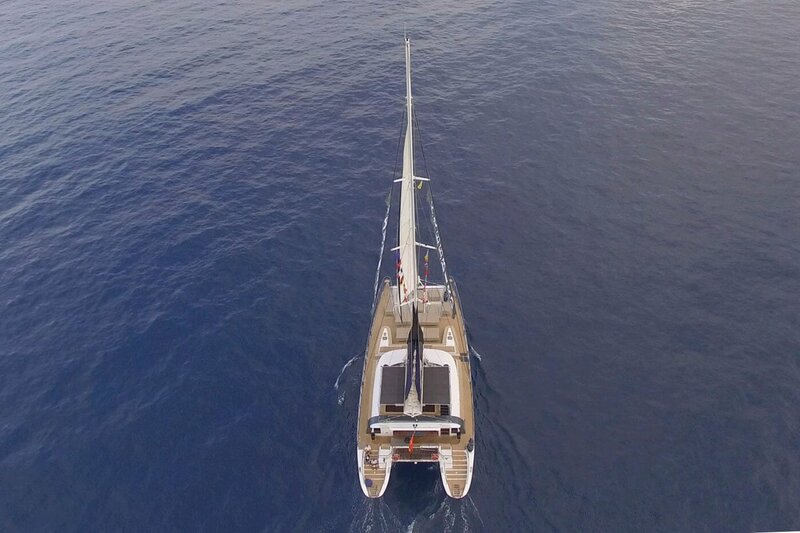 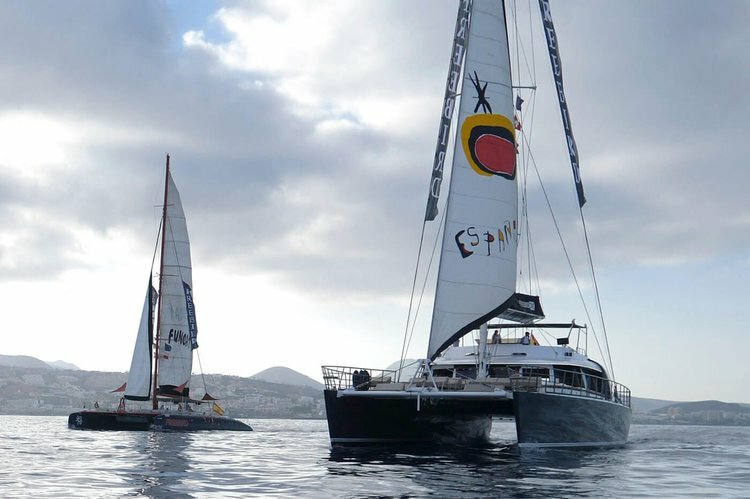 With its 28 m length, it is the largest catamaran on the Canary Islands for sea excursions. 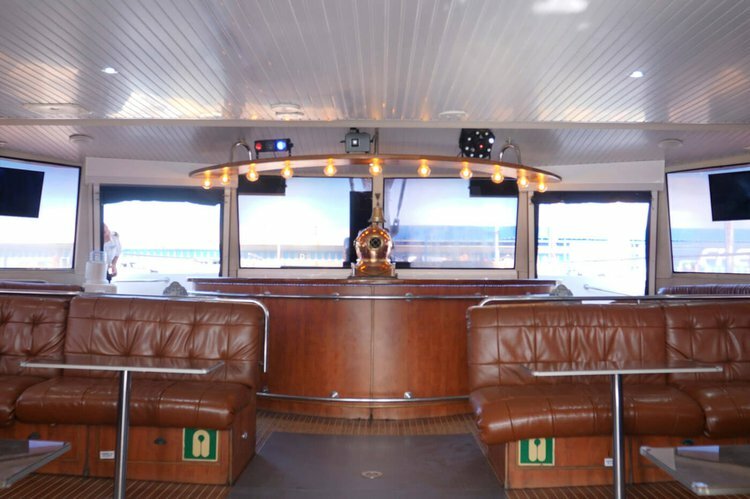 It has an inside area with bar, disco and restroom with comfortable seats, ideal for organizing private events. 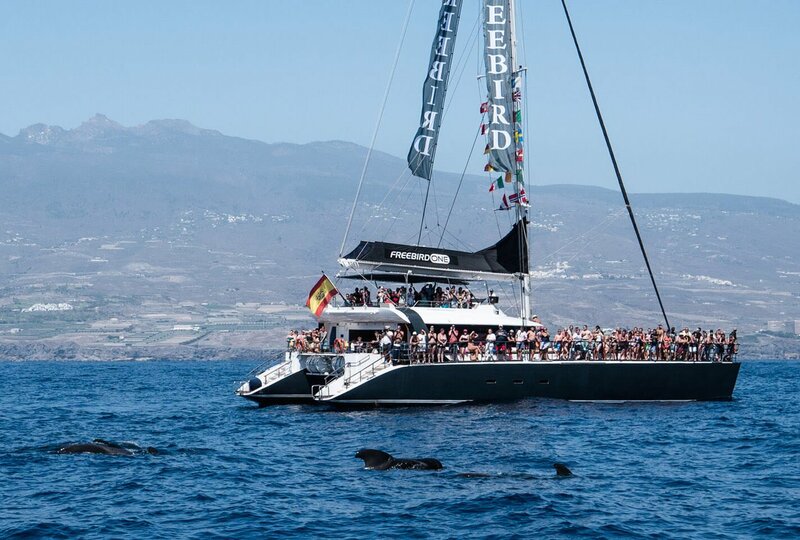 In the outside area we offer a VIP zone with sunbeds to relax, and a second floor where you can see the cetaceans from a higher point of view. 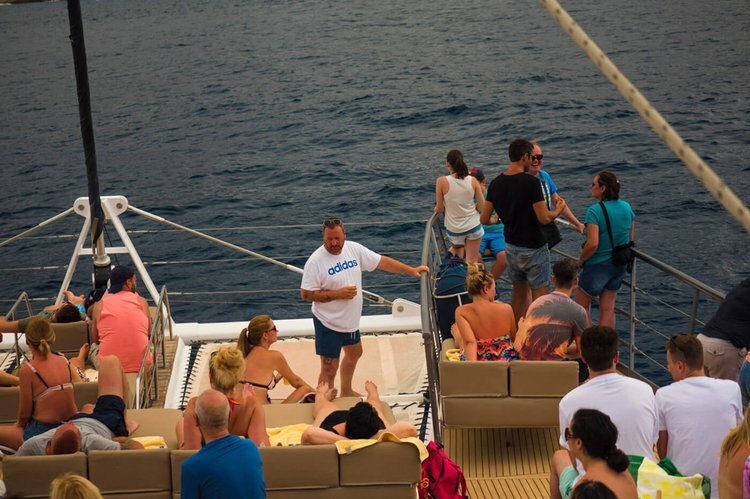 Our crew will give you a warm welcome and all the attention you need during the excursion, to enjoy an unforgettable global experience.